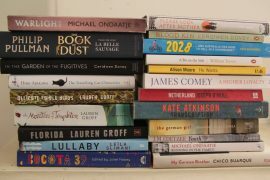 Susan Kurosowa’s highly entertaining confessions about her life in search of the perfect book club (The Weekend Australian 9th June) sent me crashing head-on into an inescapable truth – I have become a book club martinet. Maybe it’s because I was a BC virgin until a chance meeting at a dinner for Peter Carey resulted in an invitation to join a well-established gathering. The actual dinner was pretty dire because he insisted on just reading from his book. Hello? I’m grown up. I can read. I wanted some words of wisdom about the art of writing literary jewels. But the invitation turned out to be a priceless gift. Book Club (BC) has become one of my favourite monthly events, introduced me to books I am sure otherwise would have passed me by, sharpened my approach to reading, and forged some cherished friendships. But all is not cake and skittles in the genteel world of book clubs. We’ve had members who hog the conversation. Or who squash contrary voices. People who have taken almost violent exception to the phrase “it’s very well written”. Or who listen to everyone else’s rave then begin their critiques with: “it’s not very literary” (but I’m clearly the only one discerning enough to notice). These things dear reader I can bear. However, unlike Susan (who clearly comes from kinder stock) there are two things which, to use a literary phrase, drive me completely insane. First. People who come to book club who HAVEN’T READ THE BOOK! Oh I pretend to be nice. I pretend that their comments, based on reading 54 out of the 320 pages are as valuable as those from members who have READ THE WHOLE BOOK. But forgive me Lord. It’s a lie. Then there are those who insist on maintaining a side converstation, sotto voce with the person sitting next to them, which you know HAS NOTHING TO DO WITH THE BOOK BUT IS ABOUT SHOPPING! I like gossip as much as the next member but THIS IS A BOOK CLUB. Tomorrow night is book club night. Sadly I have another engagement so can’t be there (don’t even get me started on people who don’t turn up or who constantly seek changed dates). I will miss the conversation and the often dazzlingly smart commentary. I will miss the food and the wine and the fabulous gossip that comes once the conversation has moved on. And I do have a confession to make. I HAVEN”T READ THE BOOK. What status will you accord someone who has not read the book because they have made a carefully considered decision that it was causing them too much misery (boredom / discomfort / whatever) – ie it was not laziness, but they just couldn’t bear to continue? As happened to me in The Line of Beauty. Page 124 was my final page. Good point. However I still think you have a duty to the book club to finish it. If you are lucky, the second half of the book may turn out to be enjoyable. But even if it continues on its downward spiral you need that knowledge to make informed comment on the book as a whole, not just the first 124 pages. Having said that I should confess to once not even buying the book after flicking through in the book shops and deciding it was just too dire. After that, I did make sure I was always paying attention when the book was chosen.